Dabang Mumbai will face in-form Delhi Waveriders in their 3rd match of the ongoing CIL Hockey India League, which will also be their 1st home match of the campaign. 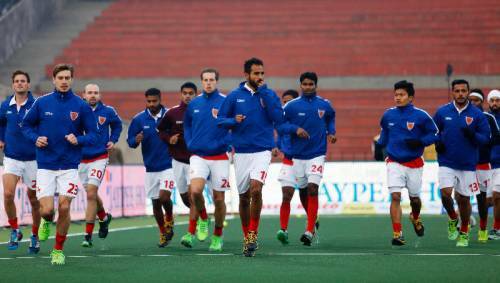 The Alphas come into the match having suffered a narrow 1-3 loss away to Jaypee Punjab Warriors. On the other hand, Delhi Waveriders have been winning away from home quite comfortably with 2 wins in 3. This would be the Waveriders’ 4th straight away tie in the campaign and they will look to continue the level of performance they have shown in the previous matches against the Alphas. Irish international David Harte has showed his mettle this season, producing some extraordinary saves in the Alphas’ first two encounters in the campaign. The 27-year-old custodian is fresh from being named the ‘2015 FIH Goalkeeper of the Year’, a deserved award for his brilliant show between the posts last year, which helped Ireland qualify for their first Olympics. German international Florian Fuchs opened his goal tally against the Lancers in his debut Hockey India League match, scoring from a rebound after the Lancers’ keeper parried away Gurjant’s reverse shot. Being the most expensive addition to the Alphas squad and the second most expensive player this year, the expectations on his shoulders are huge, but Fuchs has, so far, played well in his debut season. The Indian international was given the ‘Man of the Match’ award in two of three Waveriders’ matches this season. He has been instrumental in Waveriders’ push to the top of the table, converting 4 penalty corners in the process. It will be a nice battle between the Alphas’ custodian David Harte and Rupinder, who has scored a lot of goals while the former has been a rock at the back. The elder of the Walmiki brothers, Yuvraj is an experienced Indian international. The 26-year-old has performed admirably in the world’s biggest hockey league with the Waveriders, so much so that they shelled out a sum of $40,000 to retain his services. However, he finds himself out of favour with the national team and will look at the HIL to establish himself in the Indian team once again.